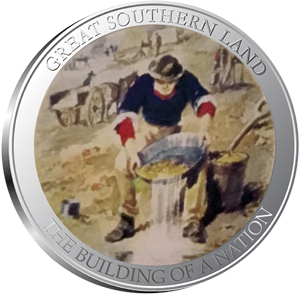 SBA Precious Metals is proud to announce the second, and much anticipated release in the Great Southern Land Collectables series, ‘The Building of A Nation’. This magnificent 5000 Limited Edition set is brought to life in glorious colour, struck on five - 999 fine silver bullion rounds weighting one half ounce each. Accompanying this collection is a beautifully illustrated and extensively researched booklet full of facts and figures which gives you an interesting snapshot into the lives and difficulties faced by those who came before us. This collection is a follow up from up to our much loved ‘Australian War Dogs’ series. 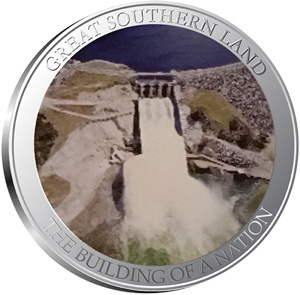 SBA Precious Metals Director Gary Warke said “I was always determined to bring this project to fruition for its important historical, cultural and educational value”. 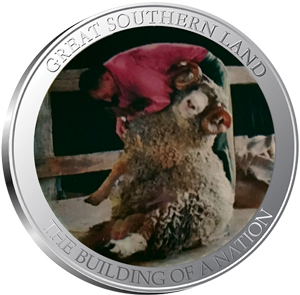 RIDING ON THE SHEEP’S BACK commemorates a time in our history when, for many years, wool was the most important product to the Australian economy earning a massive 40% of Australia’s export income. THE GOLD RUSH tells of the people who came from around the world to join with the local population, carrying the hope and aspirations for themselves and their families resulting in prosperity for some, and despair for others. AUSTRALIANS AT WAR is about a young nation called upon to send it’s best men and women to a foreign land to prove themselves in the theatre of war and being tested on the world stage, how their bravery and sacrifice changed us forever. IMMIGRATION - from the very first immigrants, it has never been easy for those coming to our land. We pay tribute to their struggles and contributions in a place they now call home. THE SNOWY MOUNTAINS HYDRO ELECTRIC SCHEME named one of the Seven Engineering Wonders of the world. ‘The Scheme’ was completed on time and on budget, taking 25 years to build. 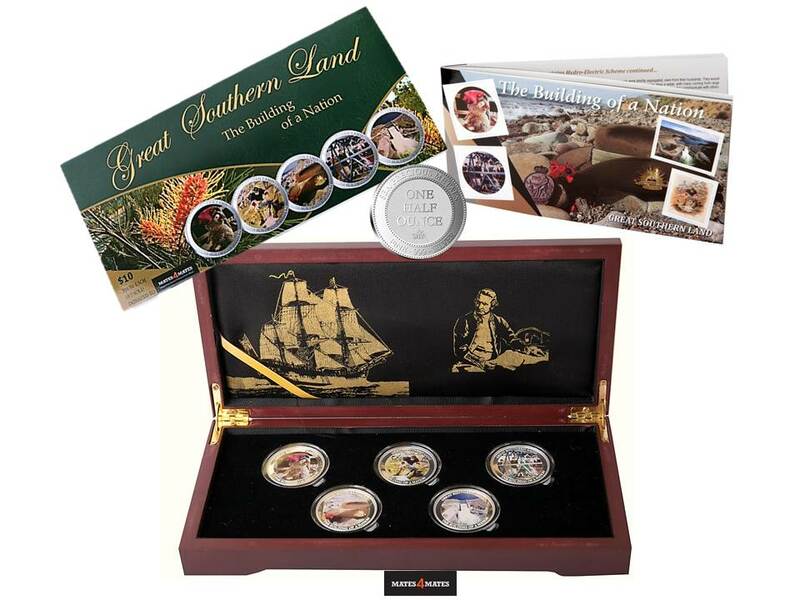 Prior to its release Great Southern Land Collectables has won high praise from historians, ex Prime Ministers, Government officials and dignitaries alike, with the coveted set number one being set aside for Her Majesty the Queen. We hope this set will become a treasured heirloom to be passed on to future generations to ensure that the important times in our history are not forgotten. As a people, we owe a great debt of gratitude for the benefits, liberties and freedom we sometimes take for granted. We should not forget our heritage on the achievements and privileges that our forefathers have afforded us and the advantages we now all enjoy. “The quality of the research and information supplied under the chapter ‘Australians at War’ exemplifies the ANZAC spirit – a difficult task given the confinements of a small booklet” said 2017 ANZAC of the Year, Nigel Allsopp, President and Founder the Australian War Animal Memorial Organisation Inc. (AWAMO). 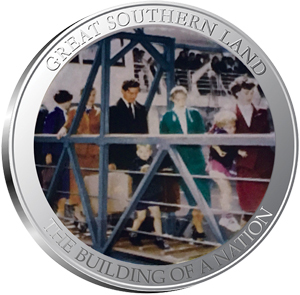 We are proud to announce that Great Southern Land Collectables will donate $10.00 from the wholesale price of each set sold to Mates4Mates. 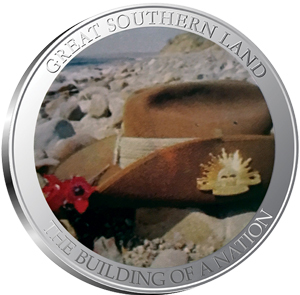 “Each bullion represents a unique part of Australia’s history as a growing nation and offers an interesting and creative way to learn about our country” said Marc Diplock - Mates4Mates South East Queensland Manager.